Unlimited space - Berlin, Deutschland - THE LINK – Stadt. Land. Architektur. Berlin. Deutschland. 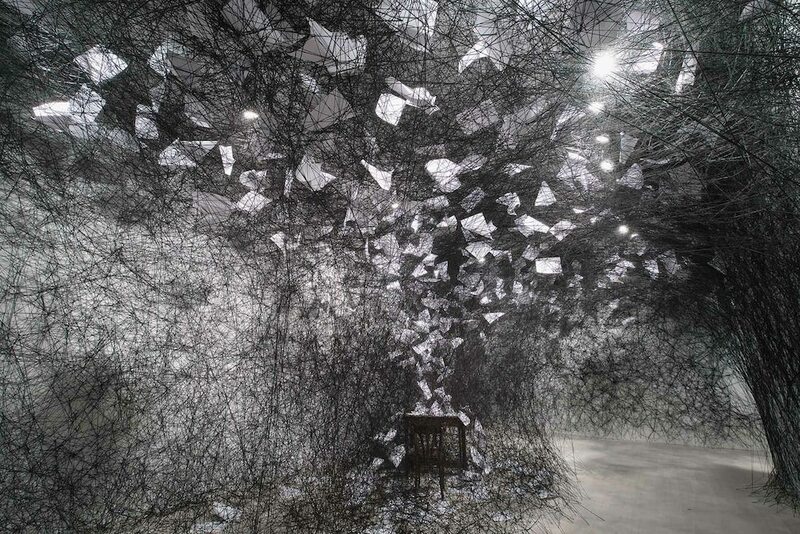 The art of Chiharu Shiota is devoted to the great themes of humanity, and her installations and performances highlight the themes of remembrance, home, fear, birth and death. In our interview she explains the philosophy and methodology of her art, the importance of architecture and space to her work and why she likes the Humboldthain in Berlin and a food street in Osaka. 1. 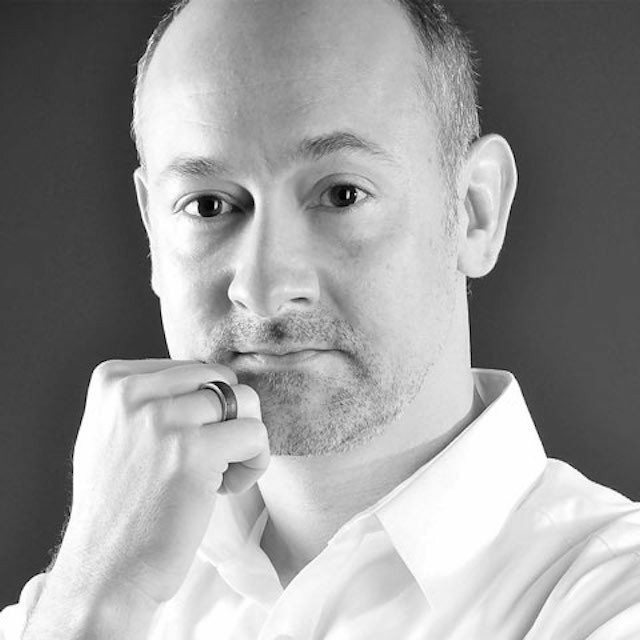 Please describe the philosophy and methodology of your work. 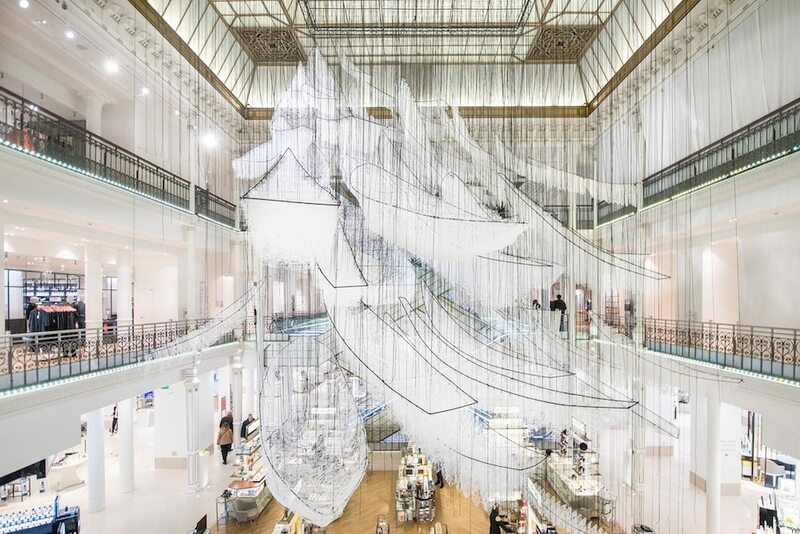 Why do you use threads for your three-dimensional installations? I studied painting at an art school in Japan; however, in the second year, I couldn’t paint anymore because for me painting was just colour on the canvas. It had no other meaning whatsoever. I found myself stuck without being able to go back or forth. I began to create installations with thread. Using webs is something that allows me to explore space like a line in a painting – I am drawing with thread into space. When I can no longer trace a yarn installation or art object with my eye, it begins to feel complete. 2. 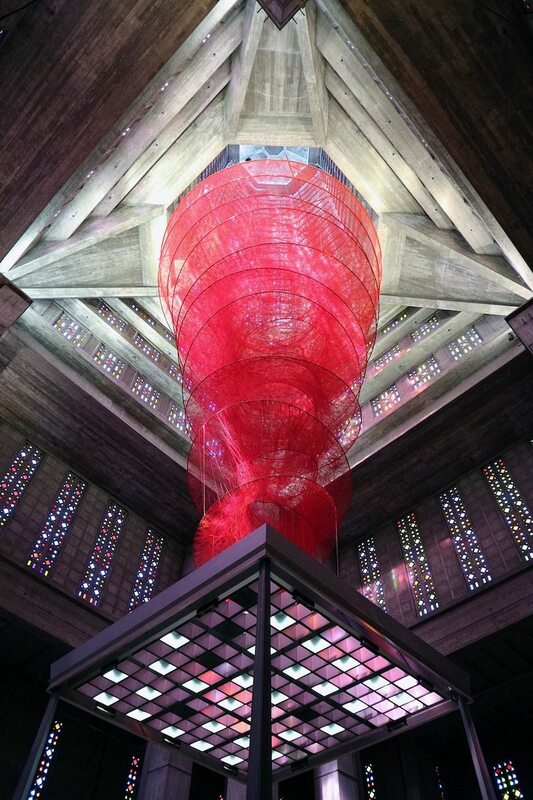 Part of the festival “A Summer in Le Havre: 500th Anniversary of Le Havre” is your installation “Accumulation of power” at the Saint Joseph church. Please describe the concept of your installation and the challenges in dealing with the brutalist building of the concrete poet Auguste Perret. The church is a place where people go to pray and confess. It is also a place that vibrates with spiritual energy and the way I see it, everyone has their own place of power in life. Saint Joseph’s Church is a space where power, thoughts, wishes, ideas and prayers accumulate. In this sense, it was the ideal building to install the red whirlpool construction. The exhibition embodies the accumulation of spiritual power present in this church – every idea, thought and prayer are collected and gathered in this storm-like construction where its energy flows in accumulation. The installation is located above the altar, as it symbolises the inner power of the people – each personal place of power comes to force in it. 3. Our impression is, that your work has a strong architectural component or interacts with the surrounding space: why is space, the room and architecture important to your work and approach? The accumulation of thread forms a mass and a surface. This way, I am creating an unlimited space. My installations with black wool dissolve the space and make the room gradually expand into a universe. 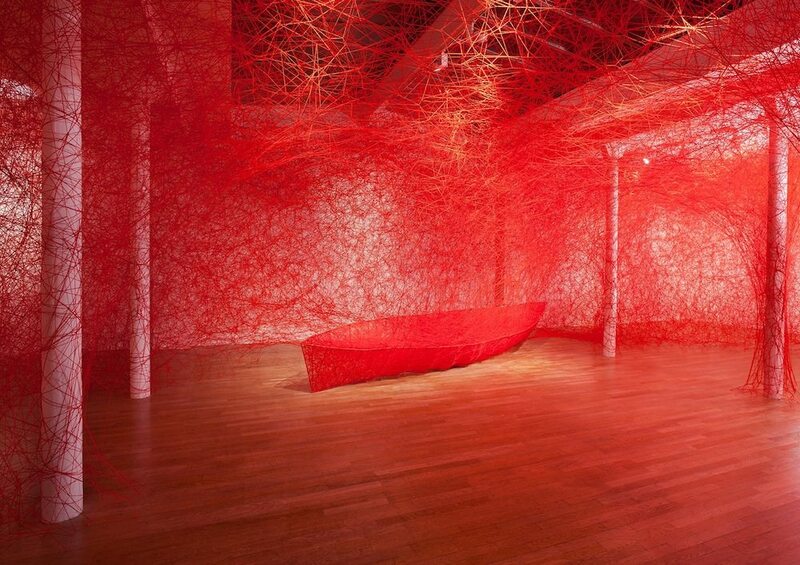 While installations with red thread, tie together peculiarly human characteristics such as memory, existence in absence, the journey and relationships. 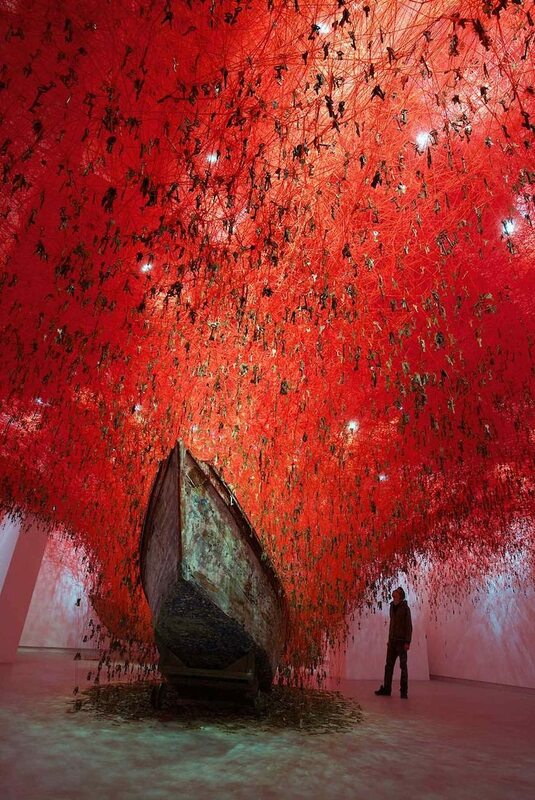 The red colour symbolizes the colour of blood, and therefore, human relationships connected to one another. The tied, stretched, knotted, tangled and cut yard express the various connections between people. The weaving acts as the complexity of the human brain. We never know what a person is thinking because we cannot access their brains to discover what they feel. We can guess but it is impossible to be accurate. I have used yarn as a tool for exploring these phenomena. When I stand in the empty or abandoned space of my future exhibition, I feel as if my body and spirit transcend a certain dimension and I can then start from scratch. 4. Your next show “Lost Words” will be presented from 29 Sep – 19 Nov 2017 at the Nikolaikirche in Berlin. What is your idea for Lost Words and how is this connected to Berlin, Martin Luther and the reformation anniversary 2017? In the 16th Century, Portuguese Catholics arrived in Japan with hopes to bring Christianity to the country. Many people were converted but everything changed under the reign of Hideyoshi and the succeeding Tokugawa shogunate. Christianity was repressed and its followers persecuted. During these times, many Christians were killed and others were forced to publicly renounce their faith. There were many that continued practicing their faith in secret, and they became known as the “hidden Christians”. Over the next 250 years, Christians had to spread the written form of the Bible orally, leading to several adaptations and misunderstandings. Some key concepts and guidelines of the Bible, such as the origin of the Universe or the figure of God, were adapted in order to match with the Buddhism reasoning. The Bible stated that God was the creator of the World, something outrageous and impossible to understand from Buddhism standards since they believed humans came into an already existing World, where many Gods were also living among them. As the word of the Bible spread by mouth, it was becoming more and more complicated to explain and understand its content, and there was always a new detail introduced. The Bible itself was not as important for them as the act of adapting its meaning in order to make it their own personal guide book. Pages flow in the air like lost words ending up in each individual’s mind. Generations of spoken stories to understand. Communicating to change and adapt some facts of the Bible so they can be understood in a more real and logic line. They wanted to believe that is why they needed to adapt the facts from the Bible. This is mental immigration. Immigration is a relevant topic, especially one that concerns Berlin. I understand this concept from one’s inner and deepest self. Moving to another country –emigrating– is the physical movement of a person who changes their homeland, but I see it more as a movement within oneself. A person that wants to or has to change and adapts ones beliefs in order to make a feeling of self belonging to call home. Maybe today, we need to think about this mental and inner immigration that is framed inside us and encourages us to move. Our heart, soul and feelings empower the act of moving. They serve as the energy of our decisions and beliefs. 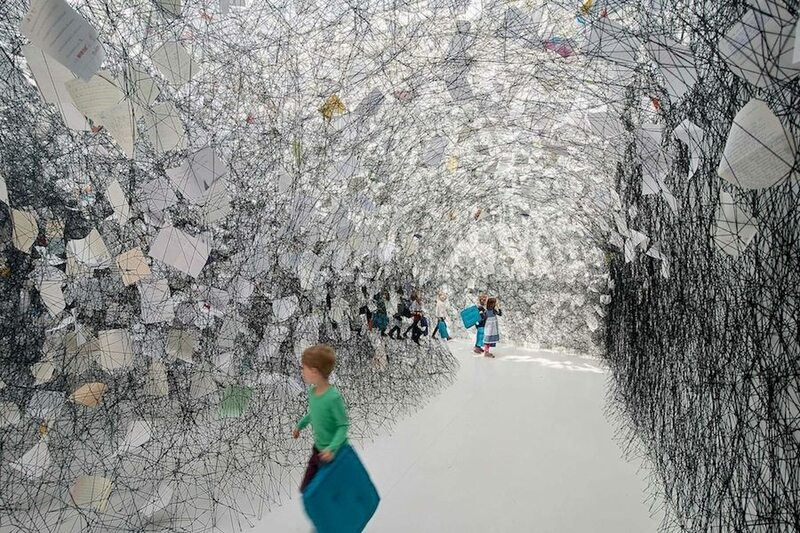 My installation of floating Bible pages conveys this concept. 5. 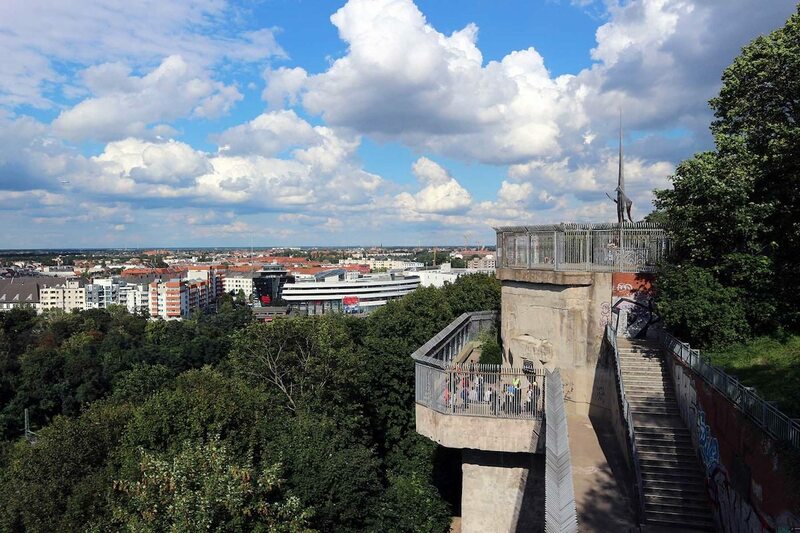 Where is your favourite spot in Berlin, in Osaka and abroad and why? I enjoy living in Berlin very much because you have the best of both worlds. You live in a metropolis with all its features, but you can also retreat into nature by walking through the many parks in Berlin. I especially like Volkspark Humboldthain, where I take a walk almost every day. 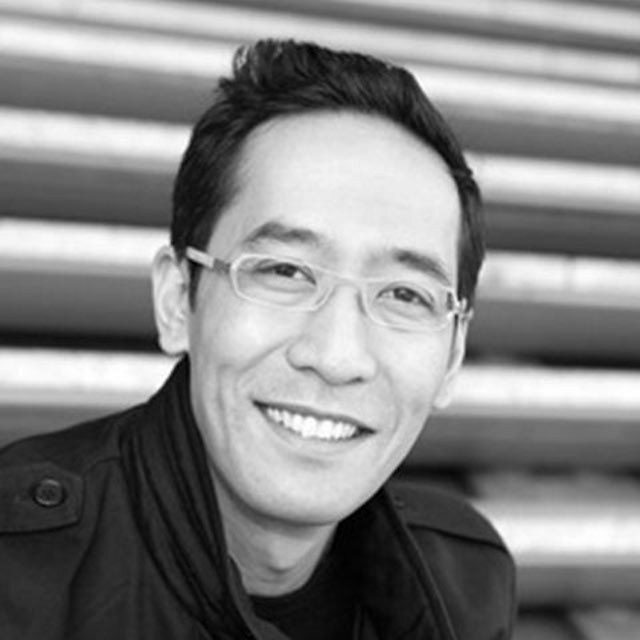 Walking is beneficial for my creative process and helps me to clear my head for new ideas. While I grew up in Osaka, I was especially fond of the food street called Dōtonbori. I enjoyed many evenings with my friends there, having great Japanese food and sharing lots of laughs. And whenever I travel abroad, I love to visit museums. Whenever I walk through museum spaces my nerves are calm. They are my safe space. 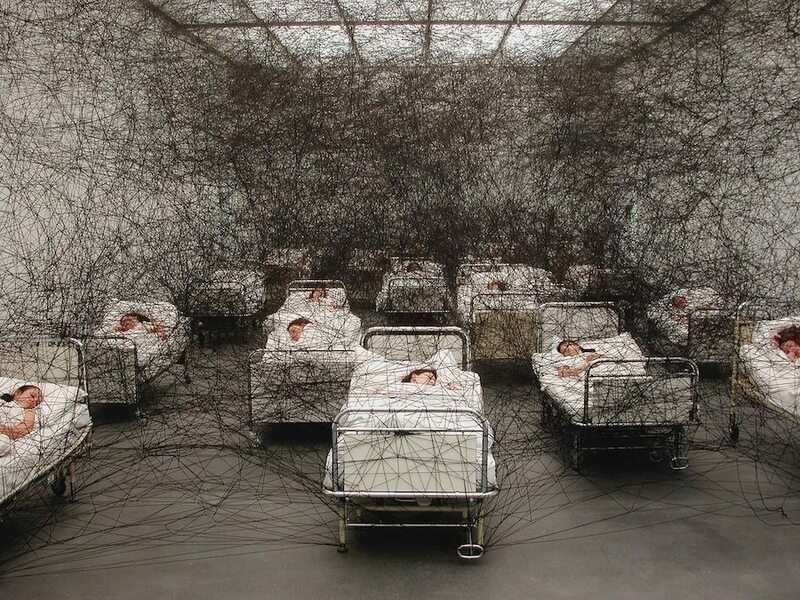 "Using webs is something that allows me to explore space like a line in a painting – I am drawing with thread into space. 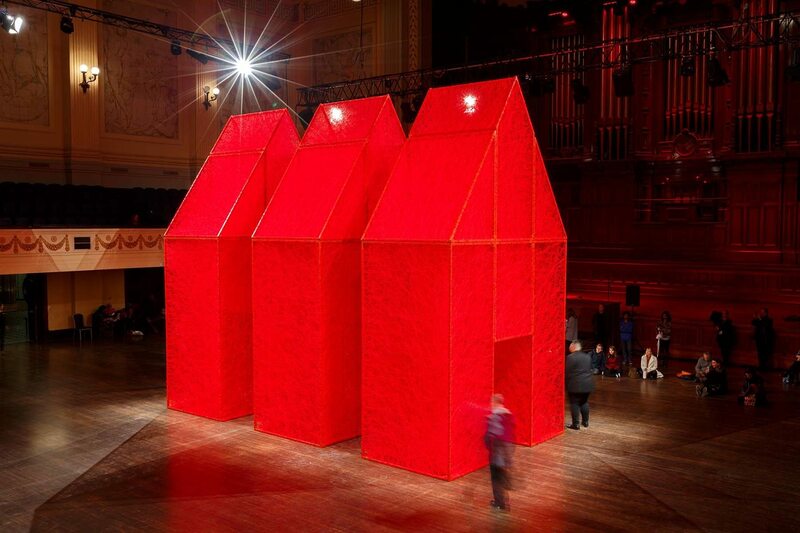 When I can no longer trace a yarn installation or art object with my eye, it begins to feel complete." Von Hendrik Bohle, Jan Dimog veröffentlicht am 25. September 2017 . 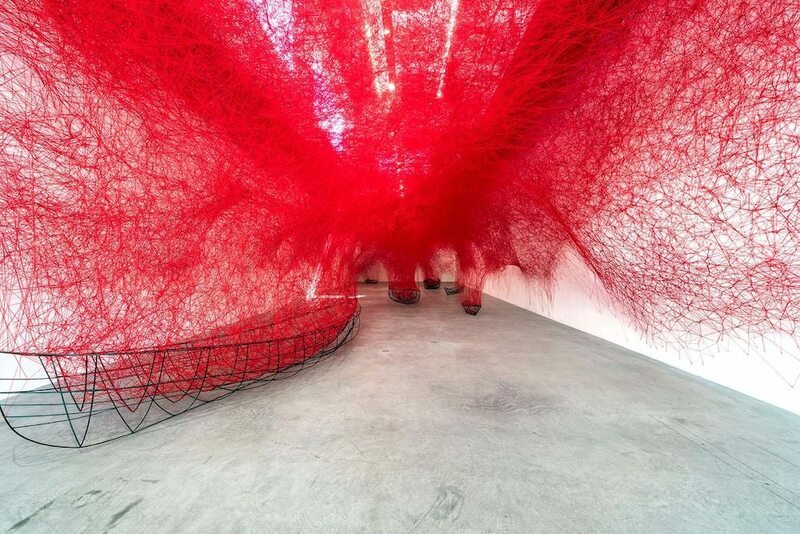 Chiharu Shiota Born in Osaka in 1972. Lives and works in Berlin. She studied at the Seika University in Kyoto and at various schools in Germany. While in Germany, she studied with Marina Abramović. 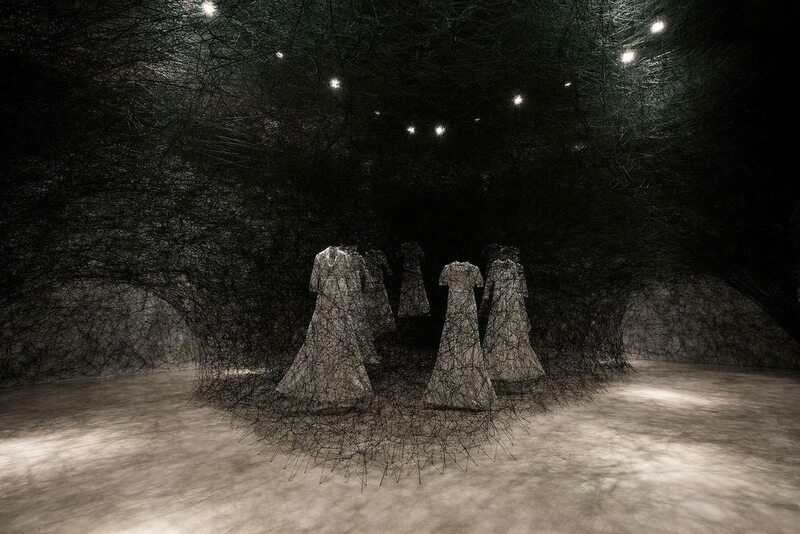 Confronting fundamental human concerns like life and death, Shiota explores questions such as “What does it mean to be alive?” and "What is existence?" 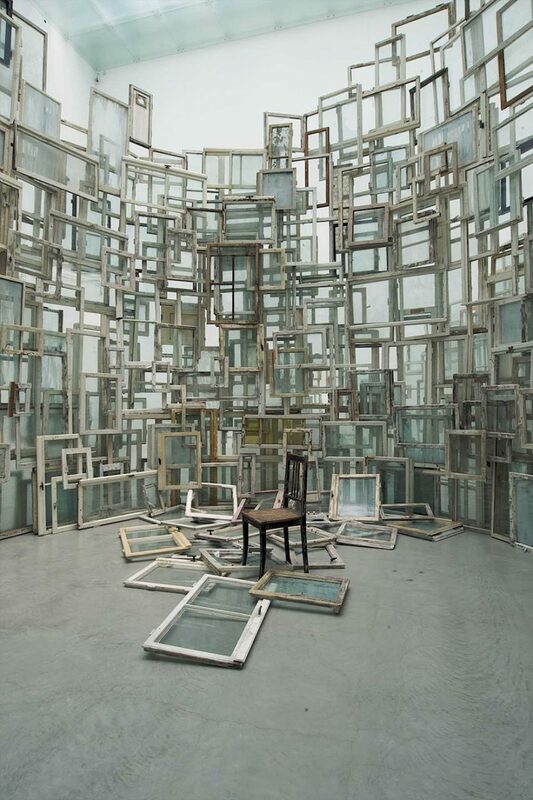 in large-scale installations that make use of a variety of media including sculptural elements, photography, and video. 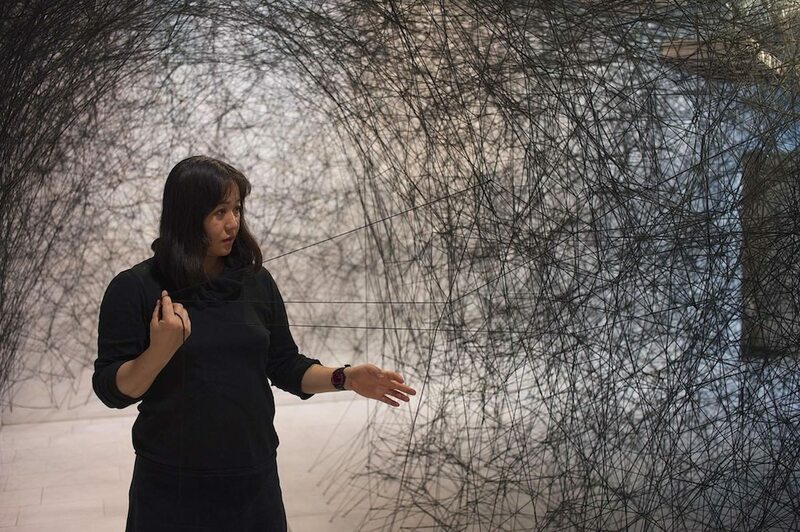 Shiota’s museum exhibitions include MoMA PS1, New York; National Museum of Art, Osaka; La Maison Rouge, Paris; The Museum of Art, Kōchi, Japan; Freer and Sackler galleries of art, Washington D.C., and Kunstsammlung Nordrhein-Westfalen, Düsseldorf, Germany, among others. In addition to exhibiting at the 2015 Venice Biennale, her work also been featured in the Biennale of Sydney, the Aichi Triennale in Japan, the Gwangju Biennale in South Korea and the Yokohama Triennale, Japan. She has been living and working in Berlin since 1996. 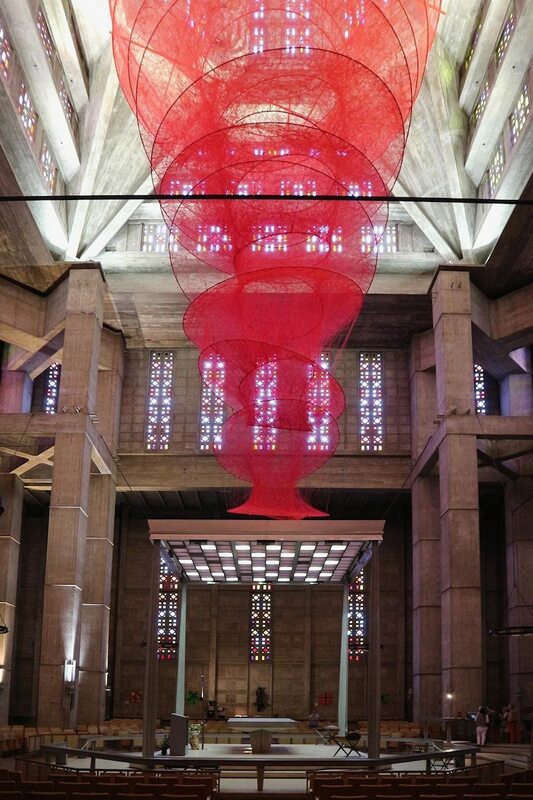 „Lost Words“ in Museum Nikolaikirche To mark the 500-year anniversary of the Reformation, Shiota has created a spatial installation, transforming the interior of St. Nicholas' Church in Berlin into a new space for ideas and associations. At the centre of the work is the Biblical Decalogue –the Ten Commandments – the sense and meaning of which were rediscovered during the Reformation. 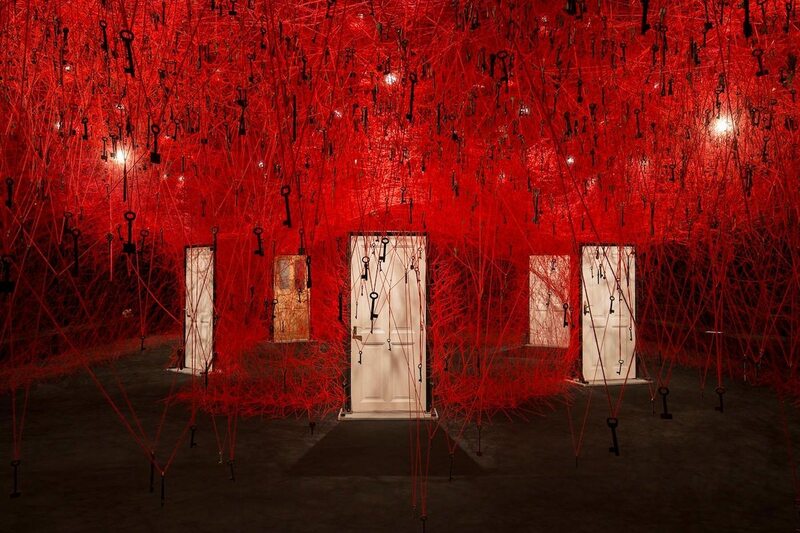 In the nave of St. Nicholas' Church, Chiharu Shiota now presents a thread installation into which pages of the Bible are woven in various languages – a symbol of the global complexity of the Reformation and the message of the Bible. Lost Words from 29.9.–19.11.2019. Address: Nikolaikirchplatz, 10178 Berlin. Opening hours: daily 10–18 pm. Entrance: 4–6 Euro.